Since 2014, Elis Distribution LTD has been helping software development companies boost their sales through various advanced marketing strategies and well-targeted approaches to the expansion of their potential client base. Elis Distribution’s highly trained team of Marketing and Business Development experts assist each software development company individually, according to their industry, target audience, budget, and a wide range of other factors. Elis Distribution analyzes each client’s product in order to best determine what is the most effective strategy in promoting the client’s product. Their Marketing and Business Development experts fully understand what it takes to make product stand out, and ensure that the company reaches its full potential through well-targeted marketing campaigns. Successful collaboration between companies depends on both companies being able to benefit from the existing market of the other, or from gaps in the market that can be filled, through a collaborative relationship that competitors will find hard to replicate. 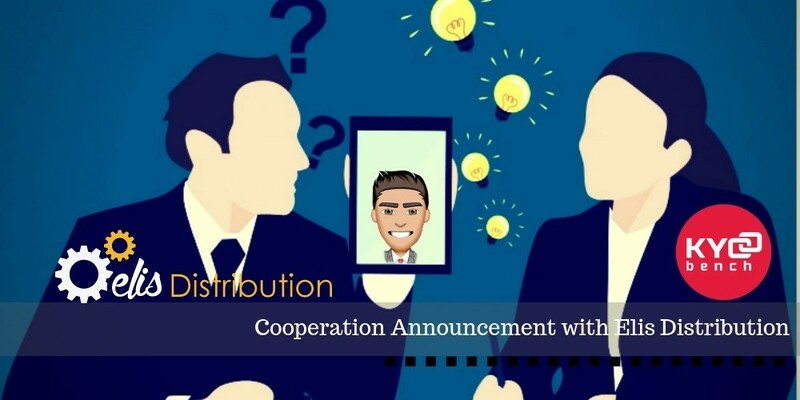 Collaboration between KYBench and Elis Distribution is aimed to identify and execute what needs to be done in order to our companies grow together.